This is the third year in a row that I've chosen "data" as one of the "top trends" in ed-tech. (See 2011, 2012) If you're looking for a sunnier view of data in education, read those. 2013, in my opinion, was pretty grim. TIME Magazine announced its Person of the Year this morning: Pope Francis. He seems like a pretty swell guy, don’t get me wrong. But many folks have argued it’s a dull even cowardly decision by the magazine. (Of course, its other recent selections include Barack Obama, Vladimir Putin, Ben Bernanke, and Mark Zuckerberg. TIME is not really known for bold choices, let’s be honest). The appropriate choice for Person of the Year, some argue, would be Edward Snowden, who along with the journalist Glenn Greenwald, is certainly responsible for the most important story of the year: revelations about widespread government surveillance by the National Security Agency – the collection of massive amounts of data from telephone and technology companies. “Email, video and voice chat, videos, photos, voice-over-IP chats, file transfers, social networking details, and more” siphoned from Apple, Google, Facebook, Microsoft, Yahoo, Skype, AOL, and others. Encryption undermined. Malware spread. Our social connections mapped. 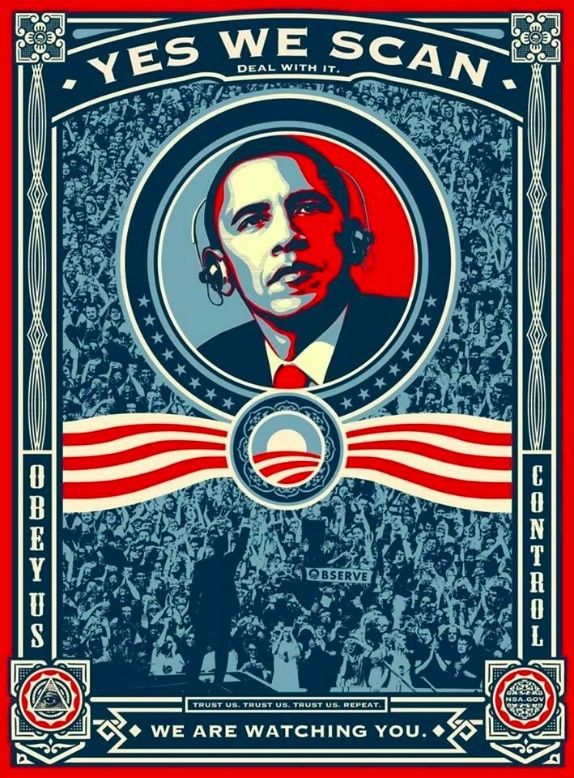 Warrantless spying by governments (not only by the US’s) – not just on suspected terrorists, but on all of us. Interestingly I heard very little outcry from ed-tech proponents about the troubling implications of NSA surveillance via the technologies that are being pushed in schools, about the impact that this might have on students’ privacy, – hardly a peep from those who have gone “all in” with Google Apps or iPads or YouTube for Schools or Skype in the Classroom or Facebook. That’s not to say that there weren’t any red flags raised this year about data collection, data mining, and privacy. But often, these were concerns about corporations‘ use of student data and not governments’. The Snowden revelations should serve as a reminder that the two are inseparable. And perhaps some educators’ excitement about tools like Google Glass should serve to remind us too that just as an uncritical embrace of “ooo! shiny!” runs deep in some ed-tech circles, a culture of surveillance runs deep in schools as well.